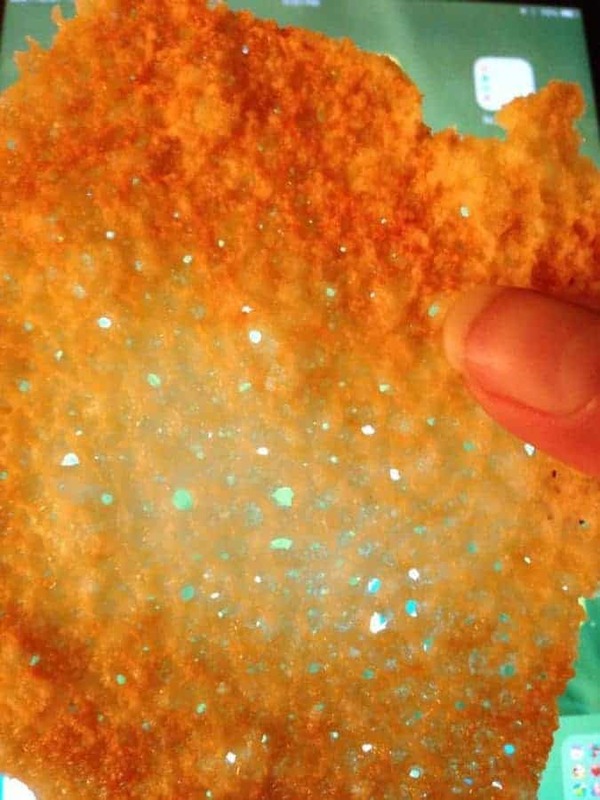 Why oh why did I wait so long to try these no-carb cheese crisps? Sprinkle 1/4 c of cheese in a paper plate and microwave for one minute. Lift edge gently to separate from the plate and then let it cool and crisp up. 110 calories, 0 carbs, 7 gms each of fat and protein. Oh and totally yummy and crunchy. Can you use any kind of cheese when making these, or some cheeses better than others? I made these the other day – I was having a crunchy craving, and I needed something to serve as a “bread or cracker” for my meal. Yum – that’s all! Oh I’m so glad! I love these. I eat these at nights when I need something crunchy.